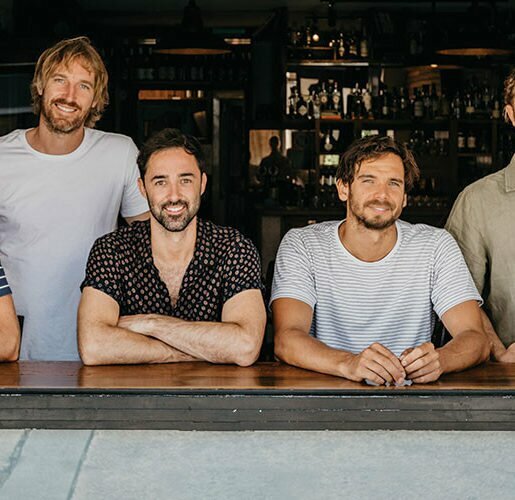 The Sunshine Coast is a melting pot of gourmet offerings, with an abundance of produce and award-winning artisans bringing the very best flavour forward for foodies to savour. We chat with Regional Flavours Sunshine Coast ambassador, Cameron Matthews, to find out more. 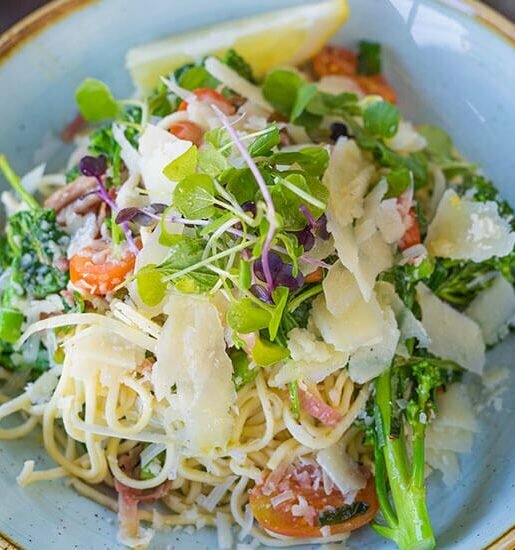 What makes the Sunshine Coast so special when it comes to food? The amazing produce and producers that we have. It’s really diverse and the people who grow are so passionate about what they do it makes a chef’s job easier! I believe that as a “food bowl”, the Sunshine Coast is one of the best but underrated in Australia. What sets us apart from other regions? I think it’s the mixture of products that we produce – amazingly diverse fruits and vegetables, all types of dairy, seafood, small growers of heritage chicken and beef; the list goes on. 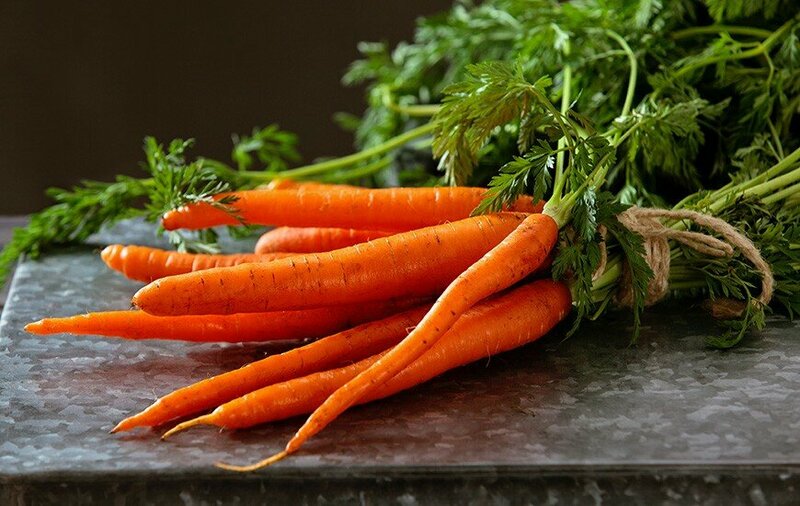 What is your favourite dish to cook with our winter produce? Cooking any kind of root vegetable or brassica over an open fire/flame, usually whole is definitely my favourite at the moment. A whole cabbage cooked for a few hours until melting and soft in the middle, tear off the blackened exterior and slather with butter made from our local dairy, it elevates the humble cabbage to meal unto itself. What is the benefit of shopping local? Besides keeping money within the local community; low food miles, freshness, seasonality and deliciousness. You can form a relationship with the grower and learn more about how your food is grown. How will you be involved in the Regional Flavours festival? I am running demonstrations in the Hunting Lodge and on the Courier Mail stage, one with Alejandro Cancino, a chef from the top Queensland restaurant Urbane who is moving to the Sunshine Coast later in the year to start his own business (which I think shows how good we are to have a Queensland top chef choosing to shift here!). Alejandro and I will also be running the Menu Hub for Visit Sunshine Coast serving local produce. Meet some of the Sunshine Coast producers at Regional Flavours in Brisbane from 21 – 22 July. Chai draws on centuries of wisdom combining fresh whole spices and quality tea into a delicious warm drink brimming with benefits for your digestive system. But as Adam Donoghue, founder of The Fresh Chai Co., explains; nowadays when you order a chai at a café, or buy chai at the supermarket, you are most likely getting chai powder, syrup or stale powdered spices, which he says in no way resembles the ancient Indian drink. “The ingredients list on Australia’s best selling café and supermarket ‘chai’ is as follows… Sugar, glucose syrup solids, vegetable oil, maltodextrin, flavours, instant tea (4%), Sodium Caseinate, (340, 451, 452, 471, 481) soy lecithin, salt, 551. Not a single ingredient on that list even existed in ancient Indian times and in fact the first five ingredients have been proven to be harmful to health,” he says. This prompted Adam to begin his two-year journey of chai alchemy. “When spices are in their whole, dried form, the internal goodness is protected from the elements and can last for a few years. Grinding spices releases the flavour, aroma, life and benefits of the spice, however if left unprotected they will soon continue to age with air contact,” he says. The honey-soaked chai also marinates the spices into a single rich flavour. Cheese has been made in Kenilworth for more than 60 years and the tradition continues with the Cochrane family, dairy farmers in the region for six generations, who became the new owners of the Kenilworth cheese factory in June 2017. Now known as Kenilworth Dairies, they provide the freshest, highest quality milk from their dairy farms in the Mary Valley. They also create other delicious dairies including yoghurt and chocolate mousse, and of course cheese – from delicious handcrafted, matured, wax-coated cheeses made using traditional recipes; a wide range of flavoured gourmet club cheddars; to everyday family favourite cheddars and feta cheese. QCamel is owned and run by the Brisbane family on the Sunshine Coast. In 2006, Lauren Brisbane completed a two-year study on the development of the camel industry in Queensland, research which led to the family becoming the founding members of the Australian Camel Industry Association (ACIA). ACIA works with the camel business community, indigenous communities, government and non-government organisations to regulate and develop the camel industry in Australia. In 2014, they produced the first pasteurised camel milk in Australia and have grown to offer a range of products including milk, yoghurt smoothies, powders, bi-powders, cosmetics and chocolates. 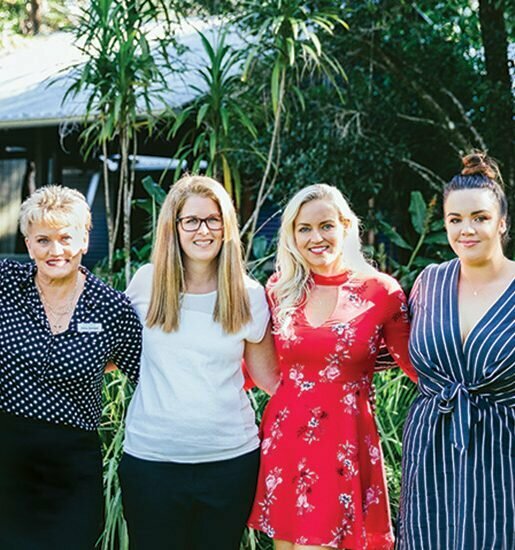 Leisa Sams’ love of bees and all their products started from a young age and this love can now be seen in her family’s Sunshine Coast Hinterland property and business Hum Honey. Bees are her passion and they free-range on their choice of subtropical rainforest and open forest hardwoods of the Hinterland. Did you know? To make one kilogram of honey their bees need to collect nectar from more than one million flowers. “I see my role of a beekeeper as a caretaker of the bees. They are essentially still wild animals, which if cared for well, will provide excess honey resources that we can harvest and enjoy,” says Leisa. The industrious little creatures also play a vital role in the security of the environment and the human food chain. Yes, they are responsible for delivering amazing honey but they are also responsible for pollinating about one-sixth of the flowering species worldwide and about 400 different agricultural types of plants – almonds, apples, cherries, cranberries, cucumbers and sunflowers all rely on the bee for pollination; and one in every four mouthfuls of our food requires a bee to pollinate the food. Originally founded by Graeme and Karen Paynter in 2013, their cheese is now found on the menus of some of Australia’s top restaurants, with a delicious offering including camembert, Triple Cream Brie, Blackall Gold (a washed rind cheese), marinated Persian feta, vintage cheddar and their flagship cheese Truffle Triple Cream Brie. All of their milk comes from small local farms and is collected daily by their local milk supplier, pasteurised and then delivered to the factory in Woombye, fresh every day. They then create and produce the cheese by hand, using traditional methods with care and experience. Although Graeme is no longer with us, Woombye Cheese Company remains a family owned business, managed and run by Karen and her sister and brother-in-law Sandra and Barry Cadby. When Brigid Woolnough was 16 years old, on an exchange in Germany, her host father worked for a worldwide commercial chocolate company, introducing Brigid to the most incredible chocolate supply in their kitchen cupboard. Needless to say, her suitcase was packed with 16kg of chocolate and each subsequent visit to follow saw a similar situation with one trip narrowly escaping the 2000 Euro excess baggage fine! In 2012, when Brigid was on maternity leave from her primary teaching position, she completed a six-week course at a chocolate school in Melbourne. Originally starting a business making wedding cakes and chocolate favours, her chocolates were in such high demand Brigid took the plunge solely focus on the creation and distribution of quality chocolate nationwide. The family business started in 1981 by master tempeh makers Michael and Julie Ann Joyce. Over three decades they have produced Mighty Bean Tempeh and built a reputation for producing the highest quality fermented food, soy tempeh, in the world, using Australian grown and certified organic whole soya beans. Mighty Bean Tempeh has been at the forefront in developing a fermentation process which provides the most wonderfully nutritious and delicious cultured soya bean food type called tempeh (pronounced ‘tempay’).